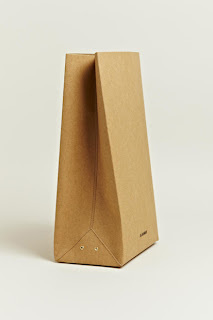 The other night I was thinking of a possible way to reconstruct a paper bag, using leather or material of sorts other than paper. Don't worry, this wasn't a weird brain strain from boredom, it was actually thanks to a loaf or two of free bread from the bakers around the corner. 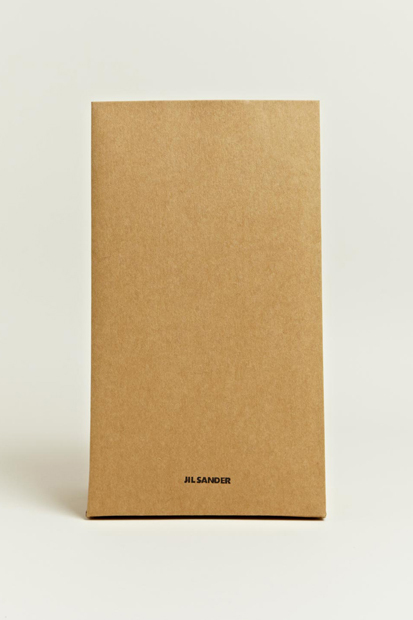 SO as it be, Jil Sander has this week just dropped the very thing in question, a Brown Paper Bag as an accessory. 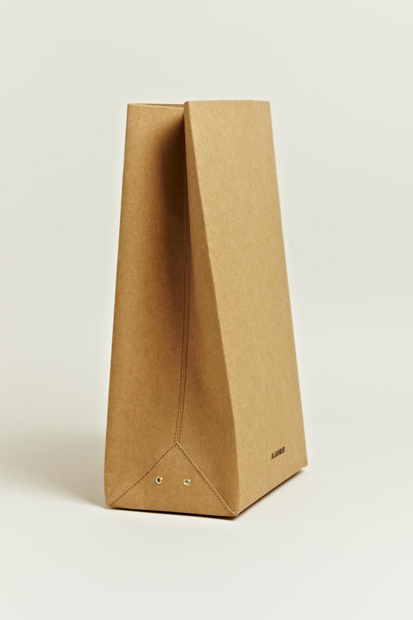 Using coated paper, the fashion house has commercialised an otherwise disposable object. 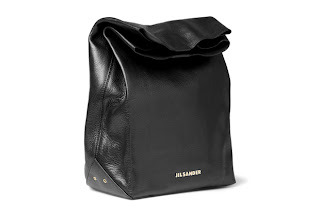 That said, it's pretty rad. Let's be Honest, your kid wouldn't have a hard time trading their 'pickle and balony sandwhich' in one of these bad boys.